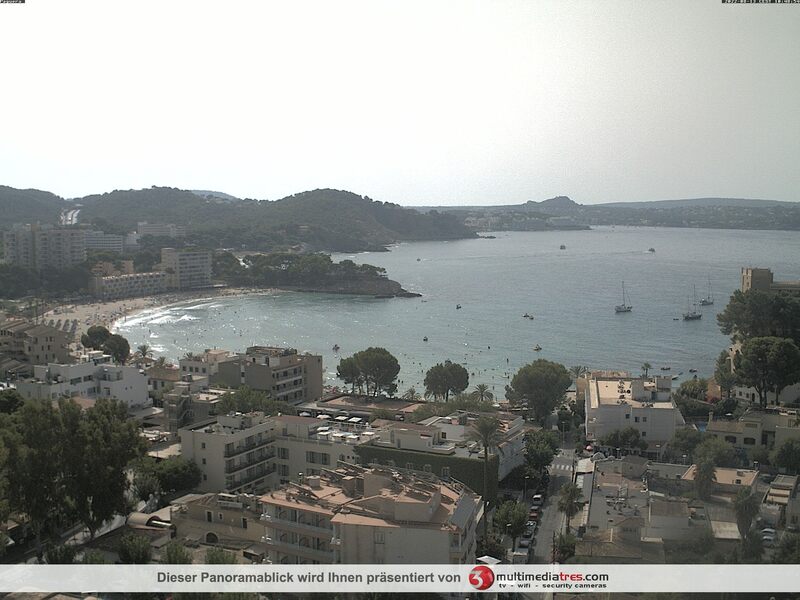 Webcam Peguera (Majorca): View over Peguera - A nice panorama view over the town onto the Mediterranean Sea. Cala Fornells (Majorca): Port Fornells, 0.5 mi. Portals Nous (Majorca): Livestream Puerto Portals, 6.3 mi. Son Vida (Majorca): Castillo Hotel Son Vida, 8.7 mi. Son Vida (Majorca): Sheraton Mallorca Arabella Golf Hotel, 8.8 mi. Son Vida (Majorca): Golf Son Muntaner, 8.9 mi. Palma de Mallorca: Palma de Mallorca Marina, 9.7 mi. Palma de Mallorca: HD PTZ WebCam, 9.9 mi. Palma de Mallorca: HD Stream Mallorca, Palma, Hotel Saragota, 10.6 mi. This webcam Peguera (Majorca) with the theme Seaview was added on January 27, 2016 and is operated by Multimediatres. It got 11447 visitors since then. Shouldn't this webcam work or should the link be wrong please report that here. You can add this webcam here to myCams.